By using or accessing the Website you agree with the Disclaimer without any qualification or limitation. The Company (omshakthy Homes Private Limited* herein referred to as Company) reserves the right to change , modify, alter, terminate, revoke, add and/or delete any one or more of the material, terms and conditions of the website without any obligation to notify the visitor of the amendment to the terms and conditions or material and the visitor shall be bound by such amendments/changes/alterations. The visuals and information contained herein are artistic impressions being indicative in nature and are for illustrative and general information purposes only. The visuals contained and other visuals /image /photographs are general images and may not have any correlation with the project. No furniture or accessories shown in any of the visuals are provided with the apartment/unit/project. The imagery used on the website may not represent actuals or may be indicative of style only. Photographs of interiors, surrounding views and location may not represent actuals or may have been digitally enhanced or altered. These photographs may not represent actuals or may be indicative only. Computer generated images, walkthroughs and render images are the artist's impression and are an indicative of the actual designs. No information given on this Website creates a warranty or expand the scope of any warranty that cannot be disclaimed under the applicable laws. The information on this website is presented as general information and no representation or warranty is expressly or impliedly given as to its accuracy. Any interested party should verify all the information including designs, plans, specifications, facilities, features, payment schedules, terms of sales etc. independently with the Company prior to concluding any decision for buying in any of the project. While enough care is taken by the Company to ensure that information in the website are up to date, accurate and correct, the readers/ users are requested to make an independent enquiry with the Company before relying upon the same. Nothing on the website should be misconstrued as advertising, marketing, booking, selling or an offer for sale or invitation to purchase a unit in any project by the Company. The Company is not responsible for the consequences of any action taken by the viewer relying on such material/ information on this website without independently verifying with the Company. * Omshakthy Homes Private Limited. 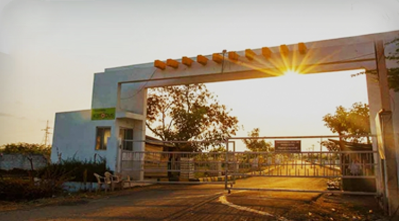 Omshakthy Agencies (Madras) Private Limited (OSAL) was incorporated in 1991 with the purpose to consolidate land that would be used for projects in the future. That will include a plethora of options such as setting up of Industries, Special Economic Zones (SEZ) and most importantly residential space around prime locations in the city. Omshakthy was incorporated for the purpose of Land Aggregation for small projects. 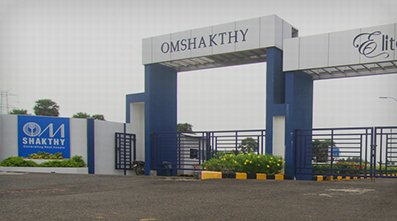 By virtue of its transparency, sincerity and capability, Omshakthy has been instrumental for the successful completion of various Industrial, SEZ and Residential Projects. Omshakthy carried out land aggregation for SIDCO by acquiring a total of 220 acres of land. Omshakthy acquired 1,350 acres of land for Mahindra World City's Special Economic Zone at Chengelpet, Chennai, without facing any litigation. Projects close to 5 million sq. ft.
Omshakthy forayed into construction as a contractor by taking contract from third parties. 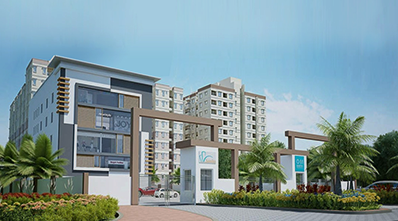 Omshakthy emphasis on maintaning a very high quality standards and timely completion of projects, enabled Omshakthy to successfully bid and win projects close to 5 million sq ft.
Having established Omshakthy as a major land aggregator in Chennai, worked on various construction projects with companies like Pepsi and Reliance. Pepsico: *Aggregated land for pepsico 2 phase - 40 Acres. *Engaged with govt of Tamilnadu to acquires all NOC's (PWD, Highways, Pollution Control Board). *For Pepsico to erect the 2nd plant in 60 days Omshakthy played an pivotal role. Reliance:*Detailed survey of land done across Tamilnadu for retail outlets. *Based on our suggestions, they procured land throughout Tamilnadu. Complete transparency in price, regulations, schedule and documentation allows for smooth execution of construction projects. Utmost care in revitalization efforts to improve community life across all residential projects that are undertaken. Qualified and well trained individuals that provide quick and relevant solutions for all forms of support services. We are proud to be the owners of Santha Towers which has fulfilled all our criteria's, Our sepcial thanks to the management who have conceptualised budget homes with a vision adhering to quality and amenities.